Do you know what goes into your M&Ms? As a society, we get upset by food companies processing horsemeat to sell to us in the grocery store. It’s troubling to customers; some don’t like the idea of not knowing what’s in our food. Could we extend that same concern to the people who grow the food that end up in our refrigerators and cupboards? Could we get as enraged that food companies are looking the other way from land grabs in developing countries as families lose their farms or access to water? There’s a range of injustices and violations that are often included in food products. Oxfam’s GROW campaign is kicking off a new initiative today, Behind the Brands, to rank the policies of big food companies on important issues like treatment of workers and farmers, equality for women, land, clean water, climate change, and transparency. Oxfam has spent over a year pulling information together through research and engagement with food companies, so that for the first time, people will be able to see what the goes on behind products like M&Ms and Oreos. 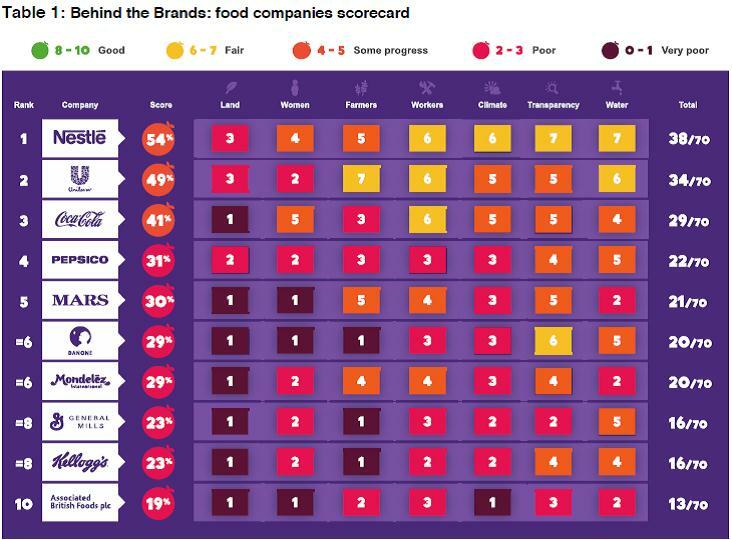 The main report contains a Scorecard that ranks the top 10 food companies, based on nearly 3000 data points that touch on issues rarely considered in mainstream sustainability ratings. 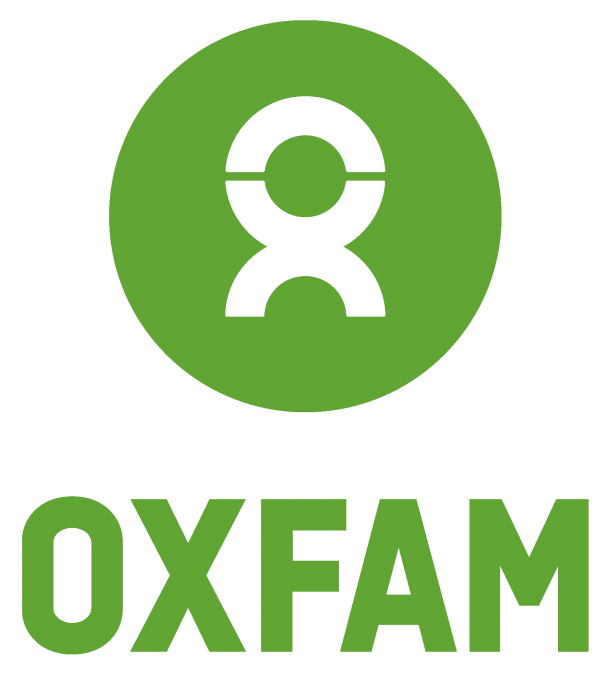 Oxfam plans to push hard for improvements in coming years, with campaigns planned in more than 12 countries, including the US, Mexico, Brazil, China and countries across Europe, which are major markets for these companies. Behind the Brands complements the other parts of the GROW campaign (now in more than 45 countries) where Oxfam is focused on encouraging responsible government action on food and agriculture, as well as consumer behavior. But governments and consumers aren’t enough. The big food companies with huge supply chains and enormous market power must also be part of the solution. They can help address the range of social and environmental challenges with food supply chains today. Ultimately the private sector’s share of the responsibility for basic human development based on ethical policy decisions should not be left to the competing forces of the marketplace. The ten companies examined in Behind the Brands have aggressive sustainability efforts in some corners of the world, for some commodities, and in some sectors on sustainability issues. As the ten largest food companies, they should. But they have the ability to do more. Their supply chains employ millions of people in developing countries who grow and produce their products. They have the power to help tackle hunger, inequality, and vulnerability for the world’s poorest people. And at minimum, we agree they shouldn’t look the other way if land and water are being taken to grow the ingredients for their products, or if women are paid less than men for the same work. Food companies know that women are the target market for their advertising; they put women front and center in their ads because in most households, women make the key buying decisions. But the same food companies often neglect the women who are the core producers of food products. And so, our first campaign action is focused on three of the top 10—Mars, Mondelez (formerly Kraft), and Nestle—for their failure to address inequality faced by women who grow cocoa used in their chocolate products. No brand is too big to listen to its customers. We know consumers already think hard about the food they buy and want their purchases to make a difference or help others. This campaign is about showing big food companies that they can—and must—improve their policies and practices, and that as consumers we care. We hope others will join us. In the comments, show us how you’re helping to spread the word. Over the next few weeks, Oxfam America’s Politics of Poverty blog will feature a series of posts that cover each of the Scorecard’s seven themes: workers, farmers, women, land, water, climate and transparency. Stay tuned!